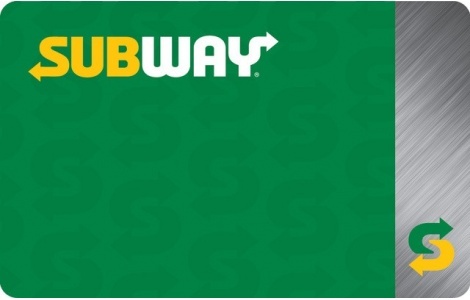 Order your bulk Subway Canada gift cards from NGC Canada today! The Subway® Card can be loaded with a dollar value and used to purchase goods and services at participating Subway® restaurants in the U.S. and Canada, and certain online venues. The Card may not be used to purchase other Cards and is not redeemable for cash except where required by law. The prepaid card balance never expires, nor are any fees charged in connection with its use. Check your balance at www.subway.com or call 1-877-697-8222. The remaining balance on lost, stolen, or damaged Cards will be replaced only if the Card has been registered and proof of purchase is provided. To register your Card, and for complete terms and conditions, visit www.subway.com. Use of this Card constitutes acceptance of those terms and conditions.